Feeding birds from your garden not only helps keep up the population of our feathered friends, but can also be incredibly entertaining. The numbers and varieties of birds that you attract to your garden depend on what feeders you use. 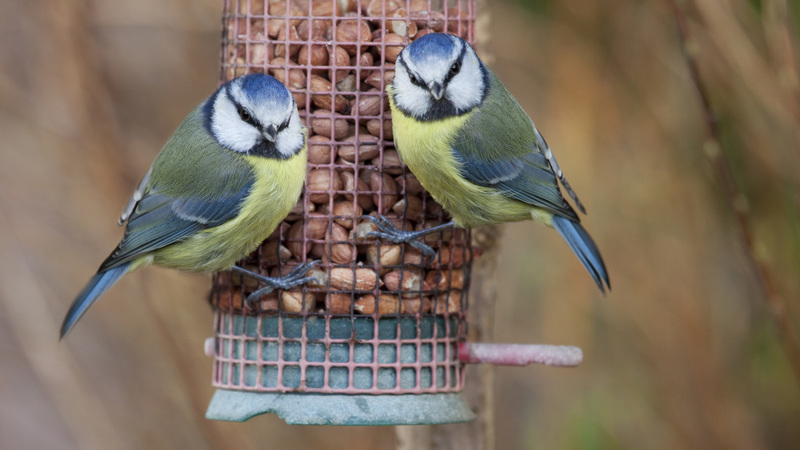 Follow these top tips to attract birds to your garden. Consider any dangers in your gardens. Cats, squirrels and other predators may all visit to your plot so position your bird feeders, birdbaths and tables at least a metre away from any walls, fences or window sills. A bird table will provide a platform in your garden for birds to gather on. Put out high-protein seed mixes and kitchen scraps such as animal fat and soaked, dried fat. Apples and pears are perfect for blackbirds and members of the thrush family. Place hanging feeders around your garden where they are most visible to you from the house. Watching birds feed will entertain you as well as remind you to replenish the food. Fill each hanging feeder with a different food type to encourage a variety of bird species into your garden. Black sunflower seeds, sunflower hearts, sunflower-rich mixes and unsalted peanuts should attract a good range of birds. Berry-bearing plants such as hawthorn, rowan, holly and berberis are a perfect food source for birds, and they create colour in your garden too. Also leave a weedy or shrub area wild to provide a natural seed “larder” for your birds. Cover from your plants will encourage small insects that birds can feed on as well. Erect nesting boxes so that smaller birds have roosting sites, making it more likely that they will return to your garden. They could also encourage the birds to nest when they are ready to breed, bringing even more life to your garden. Don’t forget to give your birds some water. A birdbath provides them with somewhere to wash and drink. Place it in a shaded area so that it does not dry out in summer. The birdbath should also be kept away from the sides of your garden so birds can keep an eye out for predators. Remember to clean the birdbath regularly and fill it with fresh water.